Walt Disney World Resort has grown from a place offering a couple afternoons of golfing fun to a world-class golf-vacation destination with four championship-caliber courses. It is one of the largest golf resorts in the country with a total of 81 holes on four 18-hole championship courses and a 9-hole family-play course. All five courses are certified by Audubon International as cooperative wildlife sanctuaries. The resort has earned a reputation as one of the great golf havens in the United States, earning gold and silver distinctions in Golf Magazine’s evaluation of America’s greatest resorts, garnering mention among the Top 75 Golf Resorts in America as selected by Golf Digest and among the 75 Top Golf Resorts Around the World honored by Condé Nast Traveler. In addition to its scenic and challenging courses, Disney’s golf program offers instruction and well-equipped pro shops. 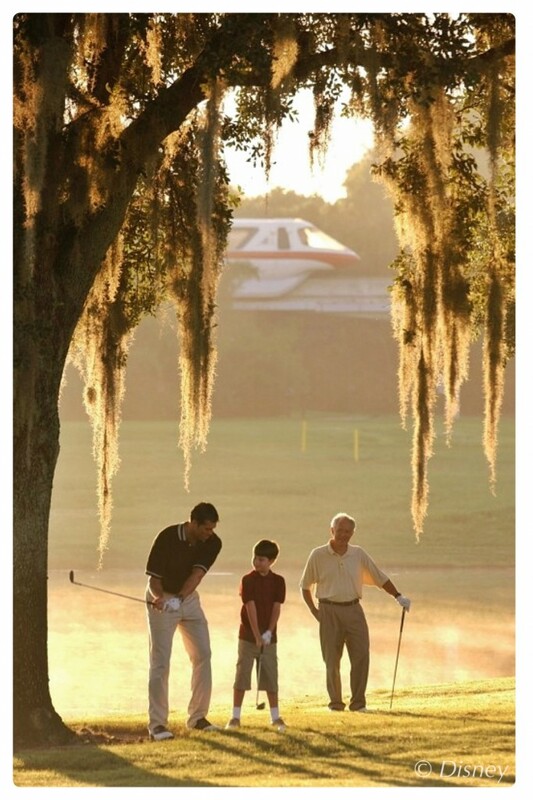 Walt Disney World Resort has hosted the PGA TOUR for a fall Classic annually since 1971. Currently, the event – Children’s Miracle Network Hospitals Classic – is played on the Magnolia and Palm courses. Walt Disney World Resort also hosts more than 400 other tournaments, camps and clinics, and other outings, large and small, each year. 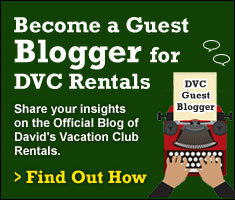 I recently spoke with Dennis Dunkman, a Walt Disney World fan and golf enthusiast. In May, Dennis played golf at four of Walt Disney World’s five golf courses – Lake Buena Vista, Palm, Magnolia and Osprey Ridge. Mid-May proved to be a good time to go. Summer rates had kicked in, saving him a little on fees, and with the exception of one, the courses were not very crowded. In most cases, with a tee time ½ hour past sunrise he was in the parks by noon. All four courses are a little tricky, according to Dennis. Lake Buena Vista was the first course Dennis tried. Built in 1972, this Joe Lee course is a narrow course that stretches to 6,829 yards from the championship tees. LBV is a tough challenge to many, as native foliage looms close to the narrow fairways. The course is somewhat more forgiving from the middle and forward tees which measure 6,268 and 5,176 yards, respectively. 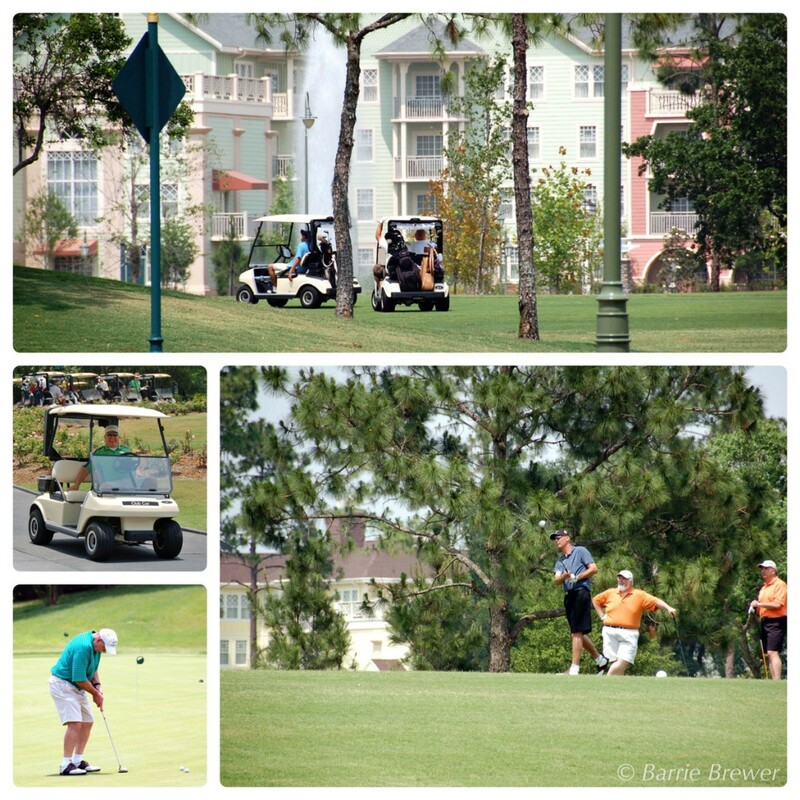 The Lake Buena Vista course is located near Downtown Disney and Disney’s Saratoga Springs Resort, winding through Old Key West, Port Orleans French Quarter and Saratoga Springs Resorts. Dennis had a tee time of 7:30 am. He played with one other gentleman, had breakfast, and was back to his room by 11:30 am. 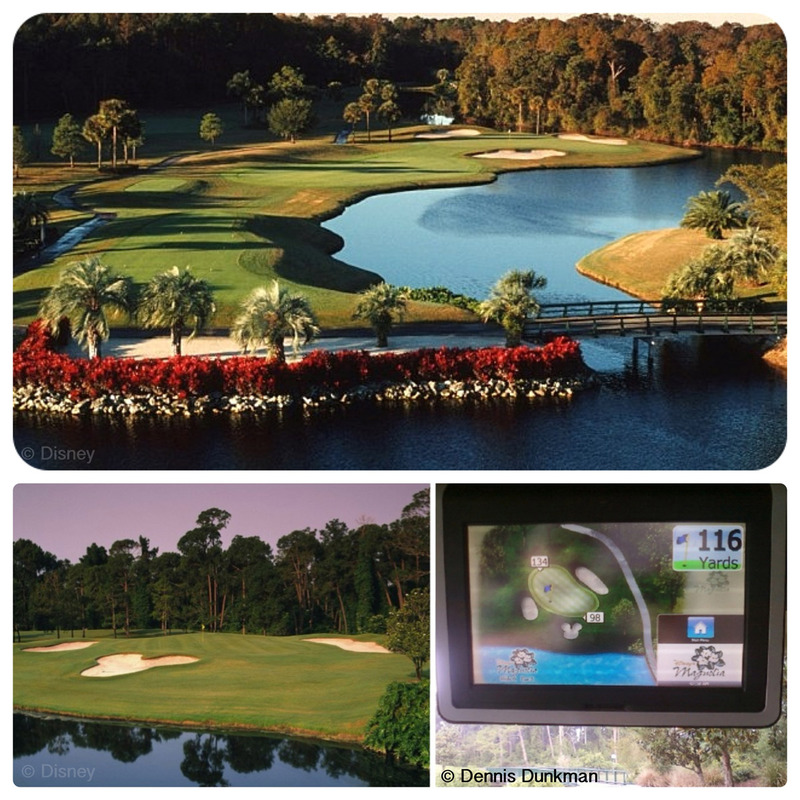 On Day 2 Dennis tried out the Palm course, located near Shades of Green and the Grand Floridian Resort & Spa. Again he played as part of a twosome and enjoyed the same low crowd levels and short wait times as the day before. The natural beauty of Florida woodlands makes the Palm not only a pleasure to play but also one of Walt Disney World’s toughest. This course uses water hazards as a penalty to errant shots, with water coming into play on nine holes. Palm is shorter, but tighter, than its neighbor, Magnolia, and has been described as a precise layout carved from dense woods. Rated one of Golf Digest’s “Top 25 Resort Courses,” this Joe Lee course measures 7,015 yards from the back tees, 6,461 from the middle and 5,414 from the front. Save a sprinkle of pixie dust for No. 18 – it’s been rated as high as fourth toughest on the PGA TOUR. Though the Palms is considered one of Walt Disney World’s toughest courses, its “sister-course” the Magnolia was the course that tested Dennis’ skills the most. Magnolia, located near Disney’s Polynesian Resort, is one of the five longest courses in Florida and one of the five longest courses that the PGA TOUR plays. Dennis started out playing as a single but another player caught up and they finished the course as a twosome, enjoying another day of low crowds on the course. As one of the two original Disney golf courses, the Magnolia opened on the same morning as Magic Kingdom in October 1971. The Joe Lee-designed course, named for its more than 1,500 magnolia trees, winds through 175 acres of thick Florida wetlands. It features 97 bunkers including the world-famous “Mouse Trap”. Water comes into play on 11 holes. Six stately bridges carry players across the many creeks that cross the course. Since this was the course where Dennis got his worst score of the weekend, he’s looking forward to going back to redeem himself! Saving the best for last, on day 4 Dennis played his favorite course, Osprey Ridge, near Fort Wilderness Resort and Campground. If you ask him, Osprey Ridge is the prettiest and most interesting of the four courses. While the other three courses have a relatively flat terrain more typical of Florida courses, Osprey Ridge has more than 70 strategically placed bunkers, mounds and a meandering ridge that runs through the course – providing interesting obstacles, banking and elevation changes. During his visit to Walt Disney World, this was the busiest course that Dennis played. Introduced in 1992, the Osprey Ridge course was designed by renowned golf course architect Tom Fazio. The course measures 7,101 yards from the back tees. From the middle tees it measures 6,680 yards, and from the forward tees it plays to 5,402 yards. Fazio designed Osprey Ridge with both the golfer and the environment in mind and considers this one of his best courses. Having disturbed as little vegetation as possible, Fazio designed the course to wind through dense vegetation, oak forests and moss hammocks. Osprey Ridge will transition to Four Seasons Resort Orlando at Walt Disney World Resort as part of their new luxury resort anticipated to open in 2013-14. Dennis noted that the 18th hole on this course is closed due to construction of the new resort. Instead, the 1st hole of [the now closed] Eagle Pines is being used. Rounding out Disney’s five courses is Oak Trail, a family-play nine-hole walking course. Dennis did not play this course on his trip. A par-36 executive golf course located at the Palm/Magnolia facility near Magic Kingdom, Oak Trail is perfect for a quick nine, practice, or the beginning golfer. Designed by Ron Garl, Oak Trail opened in 1980. Convenient transportation to all courses is offered to guests staying in the Walt Disney World Resort hotels. Club cleaning, storage and transfer are also provided. Premium golf clubs and shoes are available for guest rental. Guests with a resort confirmation number can reserve tee times up to 90 days ahead. Day visitors can book up to 30 days ahead. Tee times can be made by calling 407/939-4653 (WDW-GOLF) or you can make online reservations (via Palmer Golf). When I asked Dennis about Disney’s fees compared to other golf courses he said they weren’t too bad. He likened it to the “$10 hamburger” – it’s more expensive to go Disney, but you don’t mind paying it so much because it’s Disney! Because he was golfing on multiple days, Dennis was able to take advantage of Disney’s 2-Round pass rates. He also saved money by going in the off-season. 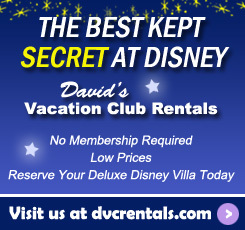 For a complete list of rates and available discounts, visit the golf page on Walt Disney World’s website. Special thanks to Dennis Dunkman for sharing his Walt Disney World Golf experience. Dennis has golfed on and off since high school. He became a serious golfer over the last 10 years and now averages about 30 rounds per year. Having grown up watching reruns of the original Mouseketeers, Dennis first visited Walt Disney World just one month after Epcot opened. Now he makes his way to Walt Disney World as often as possible – about three times a year. Dennis is also an avid photographer who enjoys capturing the magic of Walt Disney World through his viewfinder. Visit his flickr page to view his Walt Disney World photographs.